The first step is to make your flax eggs. Mix 4 tablespoons ground flax seeds or chia seeds with 12 tablespoons of water in a small bowl,stir and set aside until fully incorporated.About 10 minutes. After your "eggs"are ready,add all of the ingredients in a high-speed blender or food processor and blend until the mixture is smooth and homogenized. Grease with a little bit of extra virgin olive oil or melted extra virgin coconut oil.Or spray some non-stick cooking spray. After the waffle maker is preheat enough,pour some of the waffle batter,close it and wait until the waffle is cooked.About 3-5 minutes are enough. Repeat this process until all of you batter is used. 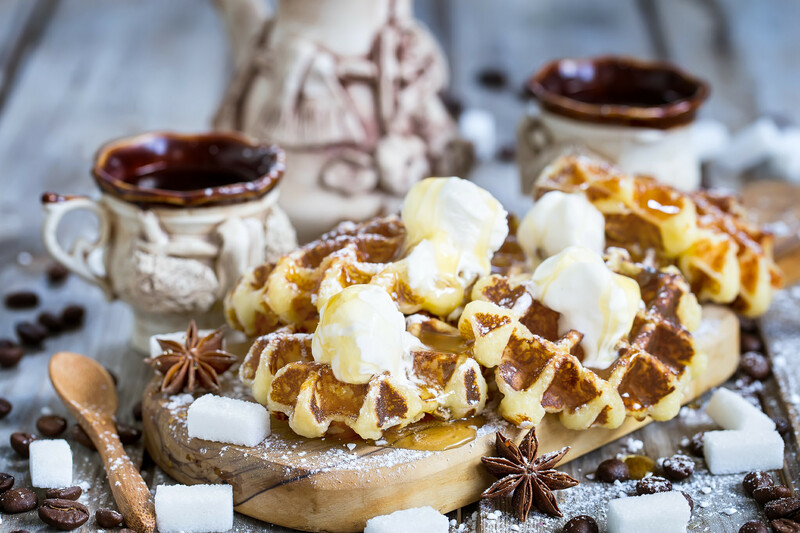 Serve the ready waffles with a scoop of ice cream and enjoy the sweet taste. 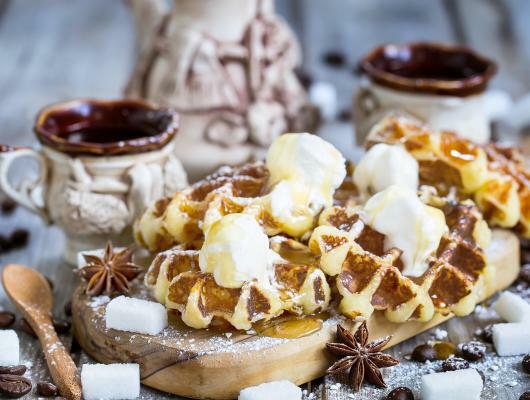 Here is an another recipe for healthy and sweet breakfast.These yummy waffles are in the list of my favorite breakfast options.They are so tasty and flavorful.With a lot of sweet ingredients,they are the best ever.